Cup marks are found in many areas of Europe with main concentrations in north/west Europe and the Alps. In Germany and Scandinavia they are found on single rocks and sometimes on capstones of megalithic structures (e.g. Bunsoh). 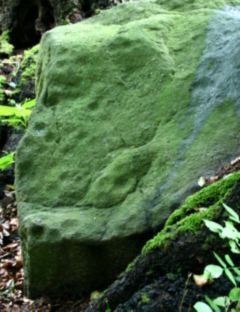 In the north of Britain cup marks are often found together with ring marks (ring and cup marks) in complex rock art, but also pure cup marked stones exist. The dating of cup marks is generally difficult. The rock art in Britain is usually dated from the late Neolithic phase and younger. Cup marks in Germany and Scandinavia were more related to the Bronze Age. Since cups marks are a very simple and abstract symbols there may be different interpretations by differnent people and also these might have changed over time. Cup marks played up to recent times a role in many rites. In Finland 100 years ago fish and rye were scarified to local ghosts and deities. In Bretagne and Normandy women were sacrificing butter and honey into the cup marks of local dolmen and menhirs to improve their fertility. Evers  points out that the process of making cup marks might have been the important ritual activity not just the marks themselves. He describes a method that might have used a longish stone that was stroke under slight rotation onto the rock to create the marks. He then associates this to the Indian Lingam and Yoni symbols. The cup marks and their making could have played a role in fertility rites. D. Evers, Felsbilder – botschaften der vorzeit, Urania-Verlag, 1991.